In light of the incidents and debate over the First Amendment at Oklahoma University, The Volante talked to President James W. Abbott about his feelings on the First Amendment. Abbott is the chairman of the Newseum Institute and on the board of directors of the Freedom Forum in Washington, D.C. 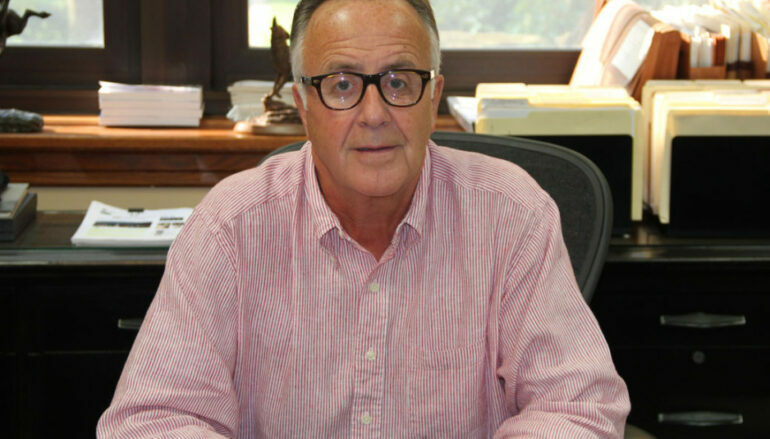 The Volante talked to President James W. Abbott about his feelings on the First Amendment. 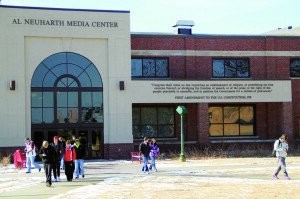 Abbott is the chairman of the Newseum Institute and on the board of directors of the Freedom Forum in Washington, D.C.
Michael Geheren: So, we are talking about the First Amendment and how it applies to students here at USD. Is it applicable to students here? Is this a free speech campus? James W. Abbott: I would say this is a free speech campus, yes. M.G. : To what extent does it apply to students? J.A. : Well, I think that is a really good question. I think in that case it’s conduct and I think you’d have to examine the relationship between the organization and campus and then determine what the rights are. M.G. : And I am sure it’s a situation that many university presidents were thinking about that week, asking themselves how they would handle a situation like the Oklahoma fraternity chant. J.A. : I think that in that situation I would have replied that as a university, we expect that our students and organizations that are organized under the benefit or for the university are expected to respect all individuals in the community. Is there a law that’s broken? Doesn’t seem like it to me. There are a lot of behaviors that aren’t appropriate. They are not all illegal. In this instance, I would use it as an opportunity to have an appropriate, good dialogue about why it is that this behavior is so offensive. I realize that there are people calling for the president’s head and calling for the fraternity to be disbanded. The national fraternity can make their own decisions. I think it’s a teaching moment and that’s what I would concentrate on. M.G. : Have you seen a way to educate students here about their use of language or things like that? J.A. : We have spent a lot of time, we’ve had an incident or two. That’s one of the reasons we have the Center for Diversity and Community, that’s one of the reasons why we appointed Jesus Trevino to his position, Chief Diversity Officer. That’s one of the reasons the university has supported the inclusive excellence program that Jesus has brought forward. So, if the question is, ‘Is the behavior reprehensible?’ I think the answer is yes. Is it illegal? That’s a different story. M.G. : How did your ideals of having a free speech campus come about, because that’s not the case with all universities? J.A. : It seems to me any university worth its salt ought to pay attention to the freedoms that were established in the Bill of Rights. So, I find it hard to argue against freedom of speech. Of course, everybody knows that it is limited in some fashion. I mean, you cannot yell ‘fire’ in a crowded theater. That’s a reasonable limitation. I think we have had situations on campus, I think of the Westboro Baptist Church people who came here and thought that they should be able to speak virtually anywhere, and we did try to limit the space on campus. I think they have a right to speak, I don’t think they necessarily have a right to disrupt. So we try to deal with that. Sometimes I think we deal with those things pretty well, other times they are so rife with tension, that it makes it tough. We try to examine those on a case-by-case basis. Where anyone has complained that our rules are restrictive we have tried to look at them and make a determination and change them where necessary. M.G. : Have you seen students use their other First Amendment rights such as to petition or peaceably assemble? J.A. : Our students assemble all the time, I don’t think that they necessarily think of it as (a First Amendment). M.G. : They don’t know they’re expressing their right? J.A. : I wouldn’t say all the time, but I think there are any number of written or verbal petitions. We’ve had a number of students saying I don’t think that course should be required. That’s not uncommon. These things tend to be addressed on an issue by issue basis. I think that these kind of things are not easy. M.G. : Would you say that having the First Amendment on the wall on the outside of the Al Neuharth Media Center is a representation of the campus? J.A. 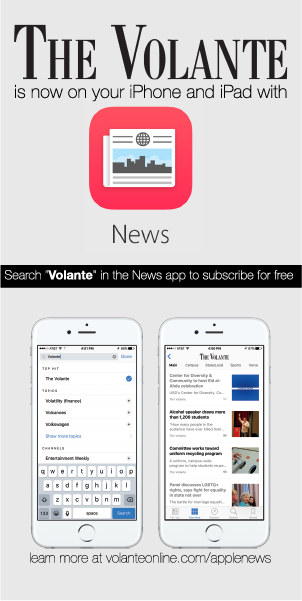 : I think that is and I think the other thing that is pretty indicative of the fact that we are free speech proponents is that The Volante has the right to operate independently without oversight of USD administration. That would not be typical across the country. M.G. : Why were you OK with doing that? J.A. : Well, that was established a long time ago. That was one of the conditions of the gift of the precurser to the Freedom Forum to the university. And, actually I think it’s just fine. I don’t have any problem with that. M.G. : What is your involvement in the Freedom Forum and what do you deal with? J.A. : I am on the board of the Freedom Forum and I am chairman of the Newseum Institute which is the educational arm, if you will. 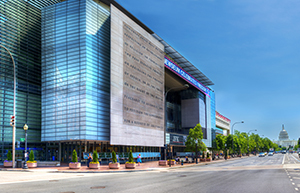 Well, one of the major things we are dealing with at the moment — the Newseum (in Washington D.C.) is probably the number one activity right now that we’re dealing with because, of course, museums have to be supported and the Newseum is no different. Basically it’s about free speech. That’s one of the things that the Newseum is dedicated to, as is the Freedom Forum. For instance, we have a relatively interesting initiative of freedom of religion. It gives rise to some very interesting discussion. I think it’s a fair statement to say that where freedoms are being trampled upon, particularly those that Al Neuharth was so interested in, the Freedom Forum is one of those places where the information gets conveyed pretty quickly. There is a wall with pictures of journalists who have died, or been kidnapped, we don’t know. Who basically gave their lives for free speech. So, I think that one of the goals is to make people aware of how important these freedoms are. If you ask the average person to name them, they cannot. M.G. : The First Amendment Center puts out a survey every year and very few people can get all five. J.A. : One of our goals is to make sure that as many people as possible understand that what we often take for granted is not taken for granted in many other countries. 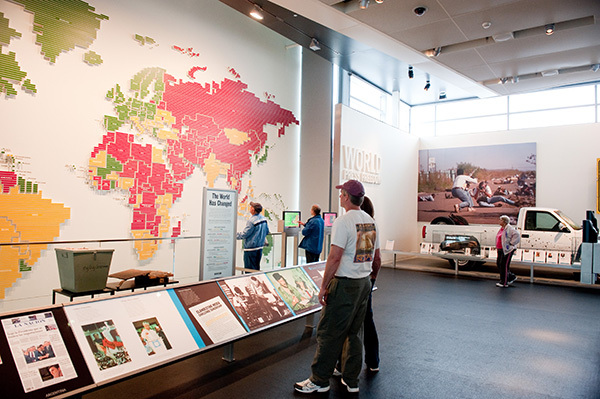 There is a big map at the (Newseum) and it’s color coordinated and one of the areas is where people are thought to be free to express themselves, to assemble, to petition, etc. And then there is another color where they’re not free. The color that indicated they are not free is significantly bigger than the areas where free speech, free assembly, right to petition is the norm. M.G. : Anything else you would like to add? Especially about OU? I’d imagine it’s a tough issue to deal with. J.A. : My sense is that the national fraternity will take care of that fraternity pretty well. I mean, they’ll make a decision. What really has to be (thought) about is, there are lots of things in this life that are reprehensible. They are not all illegal, so the real question is: When you have that kind of behavior, is there a relationship that exists between the university and an affiliated organization/club/etc. Is there a relationship that gives the university the ability to make decisions of the reprehensibility of the behavior? That’s a good question. But, I think it needs to be a teaching moment.